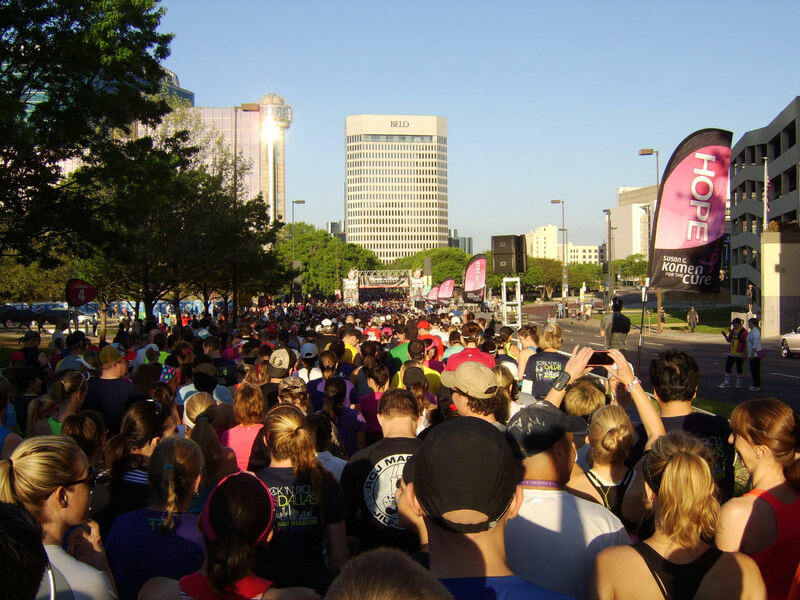 Yesterday was the Dallas Rock 'n' Roll Half Marathon. This is my view as we headed to the starting line. There were over 11,000 runners for the half and a couple of thousand in the half relay. My time wasn't that great, but it gives me something to work on before the next half marathon, the Patriot Half in Rockwall, TX on Memorial Day. The only negative, was the race was on the same weekend as the Captiol 10,000 in Austin.